​Suzanne Richards has enjoyed a great love of animals from a very young age and states she is most fortunate to run a business that includes this love. ​The project was a dream to work on, it was a complete website and online profile redesign update with full search engine optimization, developing a social media marketing campaign (Incl. FaceBook, Youtube, Twitter and Google+) and email subscription process focused on her new album. Penelope is an award nominated jazz singer/composer and has performed with numerous jazz ensembles. Penelope launched a number of creative partnerships through her career. 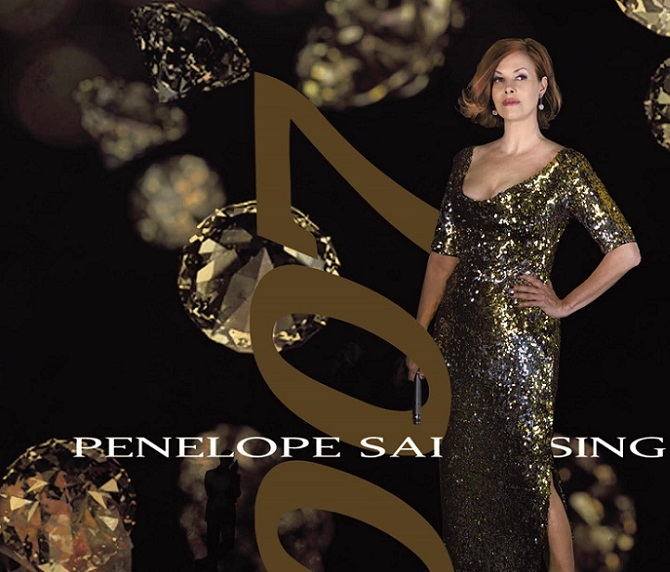 The latest album release Penelope Sai Sings 007 is the jazz artists 4th, with all the drama of a James bond movie. Her guest soloists include the sublime French jazz violinist Didier Lockwood, and virtuoso American trumpeter and leader of The Count Basie Orchestra, Scotty Barnhart. This was a great fun project to work on. The brief was to re-imagine how visitors could explore Sydney, Australia online. The creative latitude given allowed﻿ us to research and tell the many stories of Sydney from its Aboriginal owners to this wonderful archived picture (above) of a Bristol Bomber flying over Sydney Harbor during WW2. I think we managed to capture a small glimpse behind the veil of trends and passing fancies. Bringing to light lost moments of her history becoming one of the leading & colorful cities on earth. This project focused on 3 main stages; 1. researching and identifying the Market niche in relation to the proposed branding, product, e-commerce website design and development. 2. providing a design solution associated with the research which included SMM, SEO, Email subscription, video creation & tested Landing pages. 3. creating high impact squeeze pages that converted visitors to customers or Email-subscribers. Again thanks to our wonderful team we were able to not only meet but also exceed our clients expectations. A great challenge for our team of consultants. We were asked to come up with new easy to use design for a Social networking Platform that caters for the needs of the x & baby boomer generations. What our team came up with is an exciting, smooth and fun way to network with friends online. One of our teams first sites written in Joomla. The scope for this project was to design an easy to use visual experience that connected visitors with a range of online solutions. The layout easily connected with the target Audience and provided relevant topical content. Our clients were thrilled with the smooth visuals and easy to orientate menus and pages. Based on the success of our Best Places Sydney website we were asked to provide an online Guide to Australia. With this project we wanted to let visitors meet some of the great Australian Locals as we took them on a tour of Australia's ancient histories, towns and natural environmental locations including her exciting and sumptuous cities. The scope of work for this website was to provide in depth seo architecture and keyword analysis to workout our clients competitors are and what strategies you need to adopt. We provide specialist writers who are on hand to write original, dynamic content based on you Market Niche and specific keywords to further enhance your site. In today’s aggressive business arena, developing a competitive edge is key to survival. we can provided an exciting, professional digital online marketing solution.